UHF RFID up to 16 feet (5m) read-range. 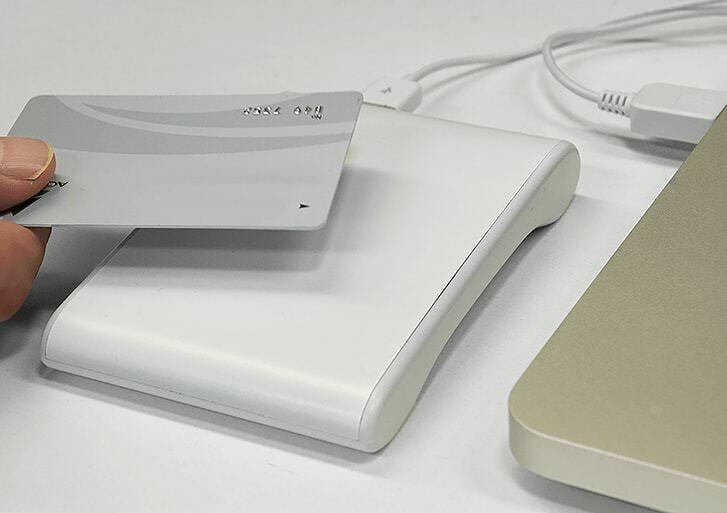 Easily connect Desktop UHF RFID Reader/Writer to a Windows PC, OSX Mac, or Android via USB. Reading UHF RFID has never been easier. Plug it in and use it like the tag info was typed in from a keyboard via HID (Human Interface Device). Tags can be read directly in to databases, Excel, Notes, your Browser, and more! The Serial Port connection allows you to both READ & WRITE to UHF RFID Tags as well. Support for ISO 18000-63 (Formerly known as: ISO 18000-6 Type C) / EPC Class1 Gen2. Reading distance for UHF tags is up to 5m (16 feet), depending on your environment, type of tags, etc.